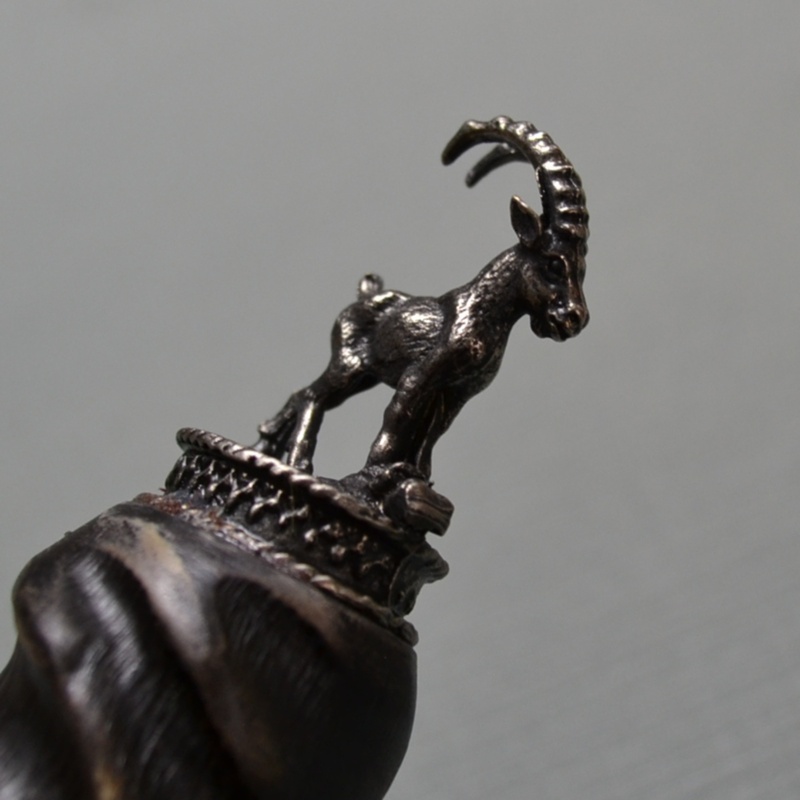 Stag horn handle knife with pewter antelope ornament. Handle is bone in a twisted pattern. 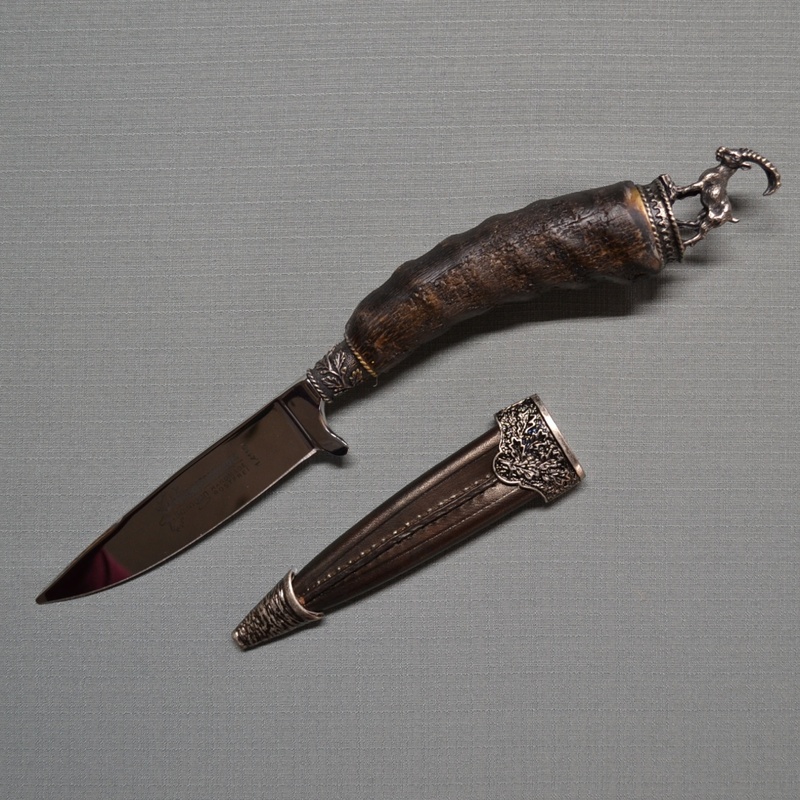 Comes with leather sheath shown in photo. Approximately 11 inches long. Made in Germany.